B.C. 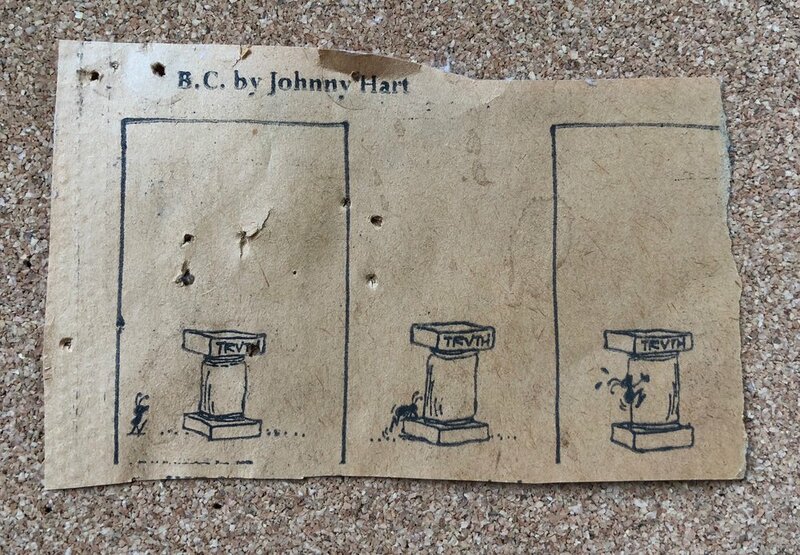 cartoon with an ant struggling to climb on the pedestal to proclaim the truth. The last frame is missing.